Every detail of Wat Rong Khun carries deep religious symbolism – the mirrors embedded in the structure reflect light, representing the Buddha’s wisdom shining out across the Earth and the Universe. A beautiful structure one must see when visiting Thailand. 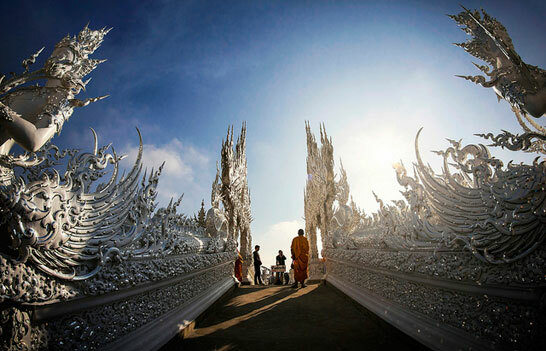 Cross the bridge into a higher realm – journeying to the main temple hall at the White Temple in Chiang Rai, Thailand.